My ex-husband's service was not held until Friday. Then there was a party in his memory on Saturday night. Point being, between prenatal care, my mother in a nursing center, and driving my daughter to / from spending time with his family, I did not spend a lot of time surfing the net. I do, however, have a few gems for you (I actually weeded a couple out, too). I love weird art stuff. And this definitely qualifies! It is the Incredible Swimming Pool Illusion, you just have to see it. Very cool. Care2 covered a story in which a 4th grader is leading an environmental movement. I'm always in awe of young children making a big difference! This 9 year old found out that 500 million plastic straws are distributed daily and decided this was too big an issue to ignore. Read his story here or go directly to his site: Be Straw Free for more information on how YOU can help! I think we've probably all read explanations of toddler tantrums and understanding how / why they happen. I still feel like they are valuable reminders, though. 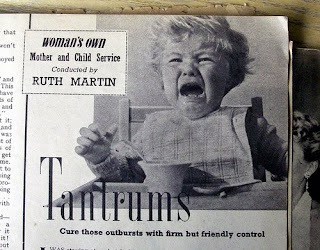 I don't recall tantrums with my older kids, but maybe they were mild. We're definitely seeing some tantrums with Sasha, but nothing outrageous yet. Still, it is easier to have patience when you keep in mind their perspective. 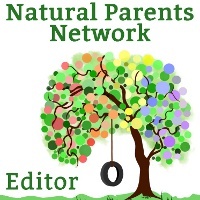 Check out this recent article on Toddler Emotional Development. The Journal of Perinatal Education is working toward advancing normal birth. (It is a Lamaze International Publication.) Take a look at this article on Saying “No” to Induction. It can be SO tempting to be induced or even have your membranes swept to encourage an early birth, especially if you have a medical practitioner whispering warnings in your ear about how big your baby might be if you wait too long. I should have known better. I know that labor will start on its own when the baby is ready! But with the warnings and "concerns," I happily agreed / requested to have my membranes swept. Twice. Sasha was my smallest yet, so she would have been FINE if carried to full term. What wonderful development did I rob from her by causing early labor? A very short list, but I'm certain you could find something here for you. I enjoyed all four of these (and the photo!). This sounds like a rough week for you. I'm sorry about your ex-husband's death and the processing you and your family will have to go through. I've been thinking about you all. Thanks for the links, though. I will take the induction one to heart and hang in there.